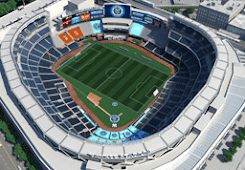 NYC is Blue: David Villa to be Introduced This Weekend? Inside Spanish Football is reporting that striker David Villa might be announced as NYCFC's first signing as early as this weekend. 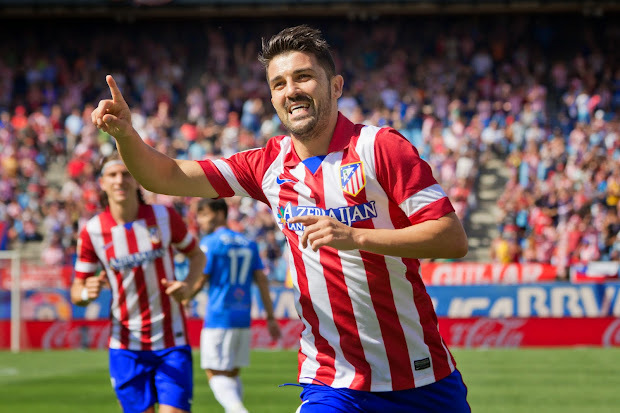 MLS’ newest expansion side, New York City FC will officially announce the signing of Atletico Madrid and Spanish international striker, David Villa this coming Sunday or Monday. Villa joined Atletico Madrid from Barcelona last summer, but was originally brought to Barcelona from Valencia by current Manchester City directors Txiki Bergiristain and Ferran Soriano, who have convinced Spain’s all-time leading scorer to become the face of their new franchise in their inaugural season, while going on back to Atletico Madrid on loan for the first part of the season to keep his form before the MLS season begins in March 2015. Sources close to ISF have confirmed that Major League Soccer have begun a massive marketing campaign to welcome David Villa to New York City FC, including mass production of his official shirt. Our source also states that the two sides have been working on the deal for over a year and that the official announcement will come this coming Sunday or Monday. Villa will fly in with the Spanish national team to be presented by NYC FC before joining his teammates as they prepare for their 7th June friendly against El Salvador at FedEX Field in Washington DC. That would comport with the timeline I've heard, but there's one piece in this article that strikes me as curious. They don't have an official shirt yet. I had presumed that NYCFC would want to separate the two announcements—kit design and first signing—although it would make sense to have shirts ready for sale to take advantage of the huge boost in interest Villa would bring to the club. This could be a very big weekend, indeed.